Moulages et Plastiques de l'Ouest (M.P.O.) is a French CD and DVD manufacturer. 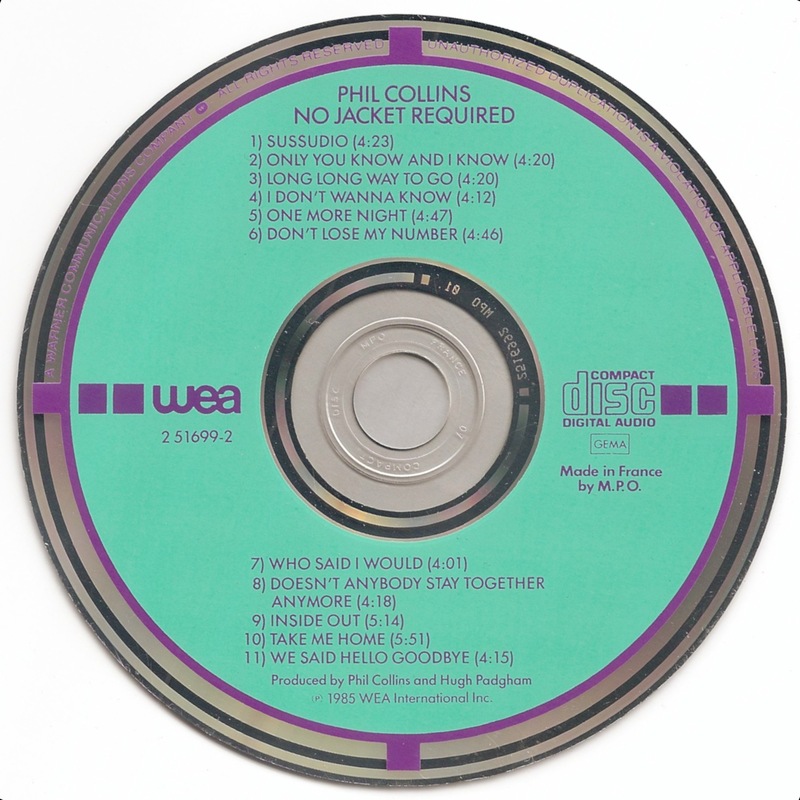 In the mid-80's the company manufactured a dozen different Target CDs, of which No Jacket Required by Phil Collins is a well known example. The color scheme for this CD with purple target squares and lettering on a seafoam green background, is the same as the one that was used for the M.P.O. pressings of the Target CDs by Michel Jonasz and Véronique Sanson. 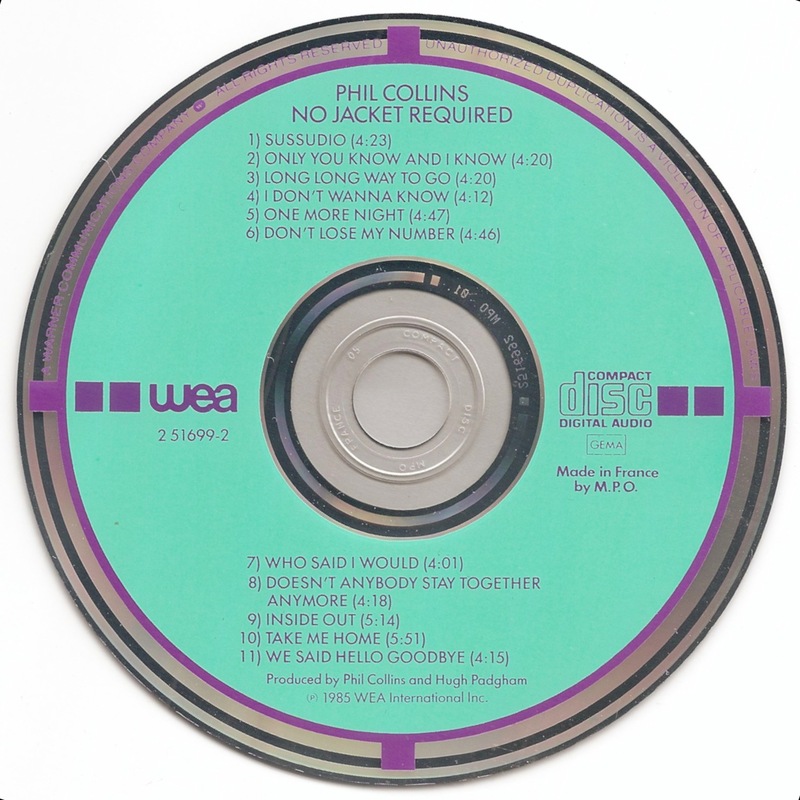 Unlike the Jonasz and Sanson Targets that are very scarce in my experience, the Phil Collins Target is quite common and can be found with many different hub inscriptions. 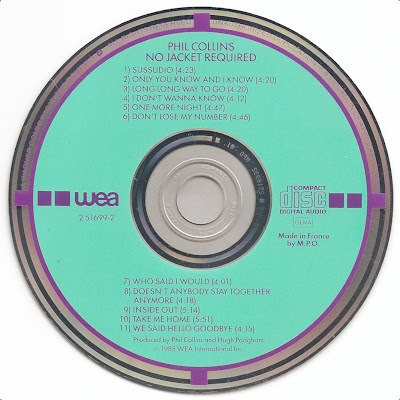 Until now I had three different variations of the French version of this Target: the first has no text in the hub, the second has four small '5's and the third has COMPACT DISC MPO FRANCE 01 embossed in the plastic center.